Leading web technology experts have expressed concern that a significant World Wide Web Consortium (W3C) specification will become illegal in the United Kingdom under the Investigatory Powers Bill. 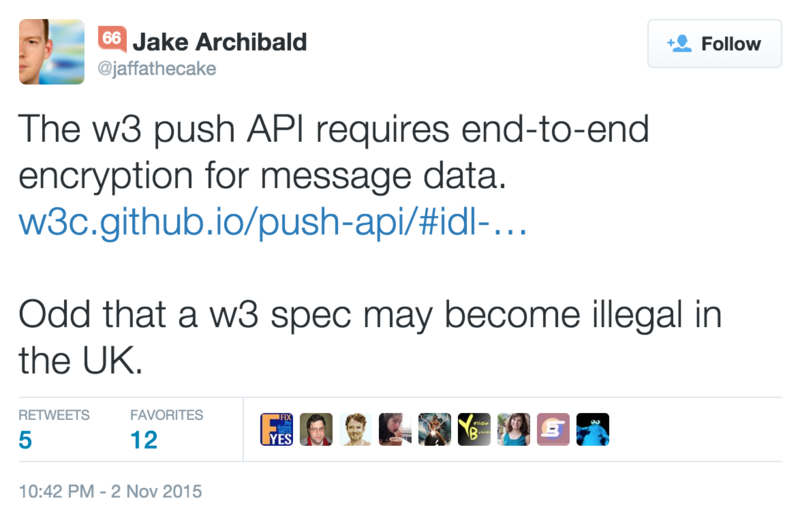 Jake Archibald, Developer Advocate working at Google, has identified mandatory end-to-end encryption requirements in the W3C Push API that would be unimplementable according to new legislation. W hile British citizens would be unable to use the new security measure on their own data, it is unclear whether the new regulations will provide concessions for foreign visitors who may need the enhanced security features on business travel, such as to communicate with head offices abroad. 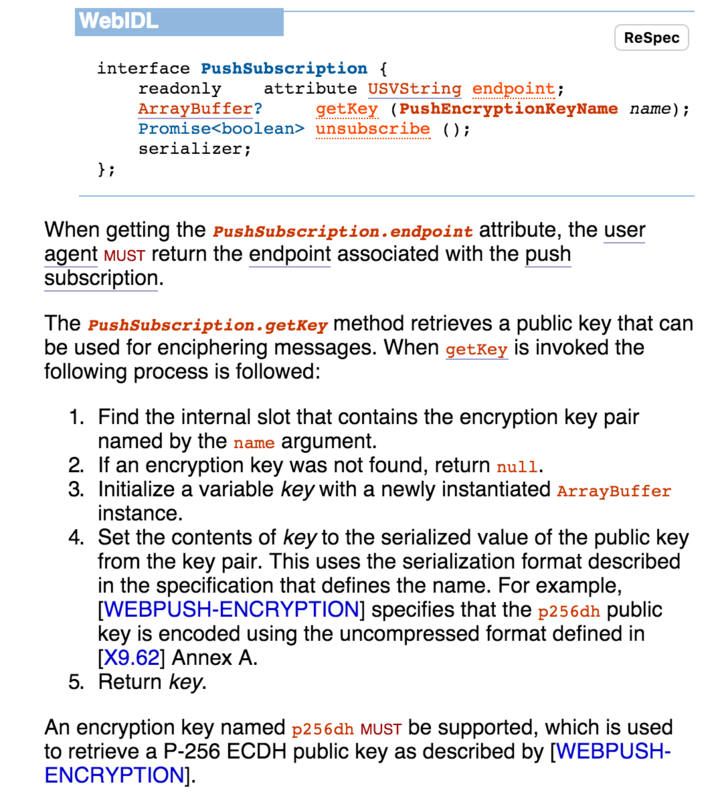 It is also possible that the W3C specification, intended to protect private and business communications from eavesdroppers, could be amended to enable a lower-security mode to support implementation in the UK as well as Iran and North Korea which have adopted similar regulations. The World Wide Web Consortium (W3C) is the main international standards organisation for the World Wide Web, founded and currently led by web inventor Tim Berners-Lee.